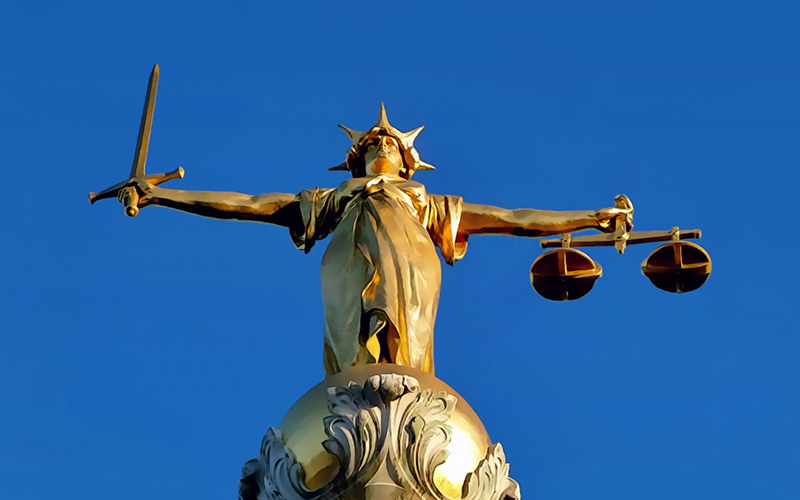 Editor’s Note: Last week Policy Exchange’s Judicial Power Project published a report by Professors Richard Ekins and Christopher Forsyth on Judging the Public Interest: the Rule of Law vs the Rule of Courts. The Project has invited commentators with a range of views to reply to the report. Some might be expected to be more sympathetic to the report and others much less so. The first reply was by Professor Adam Tomkins from the University of Glasgow. The second reply is by Dr Se-Shauna Wheatle and Professor Roger Masterman, both from the University of Durham. In their report Judging the Public Interest: The Rule of Law vs The Rule of Courts, Professors Ekins and Forsyth present a pointed and blistering critique of the Supreme Court’s Evans decision. As with the distinctions between the plurality, concurring and dissenting judgments in Evans, so also the distinction between our view and the positions taken in the report largely emerge from disagreement about the central question in the case. Ekins and Forsyth maintain that ‘the question at the heart of Evans is simply whether the Attorney General’s view of the public interest should prevail over the Upper Tribunal’s view of the public interest’. Phrased in such terms, constitutional lawyers would almost undoubtedly answer in the affirmative; an assessment by the executive of where the public interest lies should generally be respected. Thus, we agree with the paper’s authors that ‘the general principle is that public interest is a matter for public authorities, including cabinet ministers, to decide.’ However, this was not the question before the Supreme Court. The (perhaps equally abstracted) question was whether, the Tribunal’s decision having been issued, this judicial decision could then be unsettled or uprooted by the Attorney General on the basis of s.53 of the Freedom of Information Act 2000 (FOIA). Lord Neuberger in his plurality judgment and Lord Wilson in dissent both largely approached the case in these terms (adopting a constitutional approach), while arriving at different conclusions; the administrative approach adopted by Lord Mance addressed the more focused question of whether the Attorney General had reasonable grounds for departing from the Tribunal’s decision. It is this constitutional question (rather than the more politicised issue of determination of the public interest) that triggered Lord Neuberger’s statement of the fundamental principle that ‘a decision of a court is binding …and cannot be ignored or set aside by anyone, including (indeed it may fairly be said, least of all) the executive’. In response, Ekins and Forsyth doubt that ‘a statutory grant of authority to a cabinet minister to set aside a judicial decision is … contrary to the rule of law’. With respect, we do not view this issue as being so straightforward. The report conflates two issues: (1) the conflict between a legislative provision and the rule of law, and (2) the appropriate judicial response to such a conflict. In terms of the first issue, we contend that there was indeed a conflict between the rule of law and a reading of the legislation (s.53) that authorised the Attorney General to override the decision of a court of record – the Upper Tribunal. The designation of the Upper Tribunal as ‘a superior court of record’ under the Tribunals Act 2007, buttressed by its broad responsibilities and the limitations on appeal from and review of Upper Tribunal decisions as outlined in the Tribunals Act and in the Supreme Court’s Cart v Upper Tribunal decision, does place s.53 in direct conflict with the principle of finality of judicial decisions. It is on the second issue regarding the scope of judicial power to enforce the rule of law that criticism can very fairly be levelled at Lord Neuberger’s analysis. The true point of contention is whether there is any recourse for the courts upon finding an inconsistency between a legislative provision and the rule of law. It is in engaging with this second issue that Lord Neuberger turned to the principle of legality and it is largely here that Lord Neuberger’s ‘constitutional approach’ is most vulnerable to critique. While correctly explaining that the principle of legality is operative in potential inconsistencies between legislation and the rule of law, to mediate parliamentary supremacy and the rule of law, Lord Neuberger avoided tackling the difficult questions that arise from applying the principle of legality. The principle of legality is anodyne in its terms but difficult to apply. Citing Lord Reed in AXA General Insurance Ltd v HM Advocate, Lord Neuberger laid out what might be called the first branch of the legality principle, that Parliament cannot ‘override fundamental rights or the rule of law by general or ambiguous words’ and citing Lady Hale in Jackson v Attorney General, spoke to what can be considered the second branch, that the courts will decline to find that Parliament has interfered with the rule of law or fundamental rights ‘unless it has made its intentions crystal clear’. Regarding the first branch, reasonable minds can disagree about what constitutes ‘general or ambiguous words’. Applying the second branch presents even greater practical and constitutional difficulties; in requiring ‘crystal clear’ wording, the thrust of the second limb is to place demands on the form of statutory expression. In light of these difficulties, Lord Neuberger’s application of the principle of legality ought to have included more detailed assessment of the relationship between s.53 and the tribunal structure as well as comparison between the circumstances in Evans and previous statutory constructions based on the principle of legality. Regarding the FOIA and the tribunals structure, the fact that the creation of the Upper Tribunal with the status of a superior court of record was enacted years after the passage of the FOIA, would cast doubt on whether s.53 was originally intended to have the consequence of overruling a judicial decision. Further, Lord Neuberger should have addressed domestic cases such as Gillan where clear and unambiguous wording was found and where therefore, Parliament was found to have expressed a clear intention to undermine constitutional rights or principles. This would have provided an opportunity to compare the precise terms of section 53 of the FOIA, in the context of the Act, with the degree of clarity that was found in the Terrorism Act 2000 in Gillan. Given also Lord Neuberger’s appeal to the pan-jurisdictional influence of the finality principle, reference to comparative case law, such as that from Australia, would have added depth. The rule of law as applied by the courts is most compelling not when appealed to as an abstract principle but when supported by rigorous argument and careful precedential reasoning. Ultimately, an articulation of the rule of law and the principle of legality which was not as bald as that outlined by Neuberger would have undercut the accusation that the decision was a blatant attack on – in the emotive terms of Ekins and Forsyth – ‘our sovereign, representative Parliament’. A fuller account of the rule of law would have better captured the genuine tension between democratic legislation and the external standards laid down by the rule of law. To characterise the latter as ultimately collapsing into parliamentary sovereignty – as Ekins and Forsyth do – is to deny the rule of law the independent meaning that it undoubtedly should have. And to stereotype the courts as being merely ‘unelected’ – and thereby deny their contribution to constitutional dispute resolution in the process – is to trivialise a vital component of our constitutional structures. It is unhelpful to portray constitutional dispute resolution as a competition (courts vs legislature); it is an interactive process in which parliamentary legislation must be interpreted and/or mediated by the courts in the context of the assemblage of the state’s ordinary and constitutional norms. As Baroness Hale observed in Cart, ‘[t]he rule of law requires that statute law be interpreted by an authoritative and independent judicial branch’. In this process the rule of law and parliamentary supremacy, the courts and Parliament, each have a constitutionally significant role to play.